A corollary of the Fourth Law of Library Science is "Save the time of the staff"
In the present day context, the term "book" should be used in a broader context to mean a "Resource". A book is a guide, a friend, and a philosopher. A writer writes a book to communicate his thoughts. The primary purpose of writing, therefore, is that the thought it contains should be communicated. To do so it is necessary to put the books for use. The first law, therefore, truly demands that all efforts should be made to ensure that all the books kept in the library are used because it is created for use. The first law "Books are for use" places emphasis on the use of books rather than storage. Books were once kept in closed access in order to prevent theft, but this discouraged free use and prevented loaning. The first law of library science "books are for use" means that books in libraries are not meant to be shut away from its users. The first law constitutes the basis for library services. Dr. Ranganathan observed that books were often chained to prevent their removal and that the emphasis was on storage and preservation rather than use. He did not reject the notion that preservation and storage were important, but he asserted that the purpose of such activities was to promote use. Without user access to materials, there is little value in these items. By emphasizing use, Dr. Ranganathan refocused the attention of the field to access-related issues, such as the library's location, loan policies, hours and days of operation, as well as the quality of staffing and mundane matters like library furniture, temperature control, and lighting. Open Access - Open access of books enhance their use. In this system, every reader is allowed to go to the shelves and choose the book of his interest. In case he does not find the desired book of his interest, he can choose some other from the shelves. Location - A library should be situated near the central place. If it as an institutional library, then it should be situated near the center of the institutional complex. If it is a public library then it should be in the center of the city. Library Hours - The first law demands that a library should be kept open for long hours, and during the hours which suits to its patrons most. Library Building and Furniture - There should be a functional library building with pleasant, natural, and electrical light, soothing interior, good looking furniture, comfortable chairs, etc. Book Selection Policy - Books should be purchased which are relevant to the needs of the readers. Books should be attractive such as it fills the reader with pleasure. Library Techniques - Proper cataloging and classification of books are essential for promoting the use of books. Publicity - The First Law demands wide publicity of each and every book of the library. For example, the librarian can bring out the list of new additions and latest arrivals through the Current Awareness Service (CAS) or Selective Dissemination of Information Services (SDI). Library Staff - A library cannot come up to the expectation of the first law unless its staff is attentive and cheerful, and cares for the books and readers. Readers should be looked upon as customers. Some readers are shy and are not informed about the complex library techniques. The library staff should help such users to find their desired book. It will not only satisfy readers but also enhance library's use. Reference Service - Reference service aims to establish the right contact between the right reader and right book at the right time. A collection of library resources would not be used fully unless the reference librarian makes effort to help the users to exploit the resources of the library. This personal service will lead to the greater use of books. The second law of library science is "Every Reader His / Her Book". This law implies that the "books are for use of all" or "books for all." The Second Law stressed on the democratization of the library where every reader has the equal right to get the book of his / her interest. The second law fixed some responsibilities or obligations of the state, the library authority, the library staff, and the readers. A library should serve all patrons, no matter their age, race, or economic status. This law suggests that every member of the community should be able to obtain materials needed. 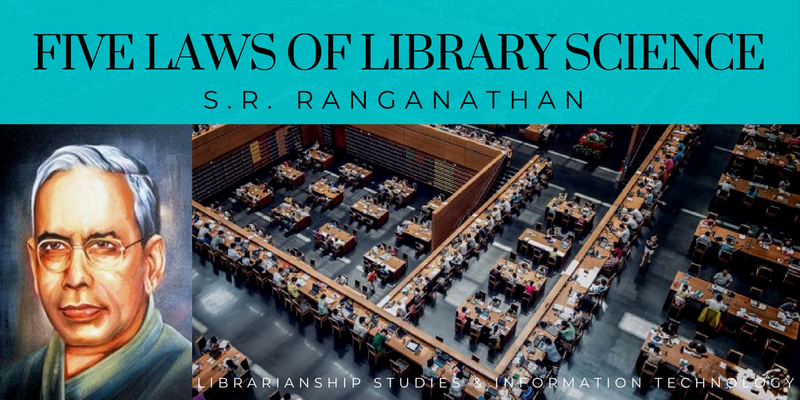 Dr. Ranganathan felt that all individuals from all social environments were entitled to library service and that the basis of library use was education, to which all were entitled. These entitlements were not without some important obligations for both libraries/librarians and library patrons. Librarians should have excellent first-hand knowledge of the people to be served. Collections should meet the special interests of the community, and libraries should promote and advertise their services extensively to attract a wide range of readers. The second law of library science "every reader his/her book" means that librarians serve a wide collection of patrons, acquire literature to fit a vast collection of needs, do not judge what specific patrons choose to read. Everyone has different tastes and differences and we should respect that. The possible absence of a physical knowledge storage object doesn’t dilute the power of Ranganathan’s second principle; it is certainly relevant to media in all forms including the Internet. Obligations of the State - When we say "Every Reader His / Her Book" or "Books for All", the state or government automatically comes in picture. The state has a certain obligation to its citizens and one of these is to provide equal opportunity to read. Ranganathan has discussed obligations of the state under three head. (i) Finance--providing finance by giving grants and by levying library cess (Ranganathan's choice), (ii) Legislation--enacting library legislation, and (iii) Coordination--of activities to ensure "Books for All"
Obligations of the Library Authority - The second law has something to say to library authorities in respect to the selection of books and staff. A library has limited finance. It is therefore desirable to know the requirements of the readers before selecting the books. Similarly, library authority should select staff for their library with professional competence and missionary zeal. Obligations of Library Staff - Library staff should be cooperative and service minded. Library staff should form a bridge between readers and books, only then every reader will have his/her book. When a reader enters a library, the library staff should approach him with a helping hand. Second Law strongly advocates user education program in libraries. Obligations of the Reader - The Second Law expects the readers also to discharge some responsibilities. Readers should be disciplined and follow rules and regulations. Readers should restrain from cutting pages from books, keeping books beyond the due date, etc. All such acts amount to keeping other readers away from their books. The Third Law prescribes Every Book its Reader. The emphasis is on the book. This law desires that every book in a library must find its reader. It implies that there should be maximum use of books by their users. This principle is closely related to the second law, but it focuses on the item itself, suggesting that each item in a library has an individual or individuals who would find that item useful. Dr. Ranganathan argued that the library could devise many methods to ensure that each item finds its appropriate reader. One method involved the basic rules for access to the collection, most notably the need for open shelving. Open Access - It is one of the most effective ways to ensure that the maximum number of books are seen by the readers. It also happens sometimes that the reader to the shelves in search of a book and in the process of search select many more books. Shelf Arrangement - If the books are arranged so that the subjects get arranged according to the degree of mutual relationship, then each book would have a higher probability of getting its readers. Easy Accessibility - Books should be placed within easy reach of the readers. It has been observed that the books within the comfortable reach of the readers are most frequently used. For easy accessibility, shelves should not be higher than 6.5 ft.
Cataloging - Proper cataloging of books is very important as even though there may be well planned and arranged books on the shelves but they are incapable merely by itself. Series entry and cross-reference entries are highly useful in drawing the attention of the readers. Analytical entries increase the chance of a composite book getting its reader. Reference Service - A reference librarian should know about the world of books and try to find out a reader for every one of these. The reference librarian should act as a canvassing agent for each book. Publicity - Publicity is a very powerful weapon to attract readers to the library and thereby to increase the chances of every book to find its reader. For example, the arrival of new books may be brought to the notice of the readers by displaying them, near the entrance of the library, or by communicating the readers through an e-newsletter or broadcasting information about them through the Twitter handle of the library. Extension Service - The library attract readers by converting itself into a cultural and social center. A library does this by organizing exhibitions, musical concerts, a magic show, celebration of local and national festivals, etc. Once the people come to these functions, then the library can make an attempt to bring books and readers together. The Fourth Law says "Save the Time of the Reader." A library user must be assumed a busy person. It is essential to keep the reader satisfied and a reader is satisfied most if his/her time is saved, i.e., if he gets the needed service in minimum possible time. This law is a recognition that part of the excellence of library service is its ability to meet the needs of the library user efficiently. To this end, Dr. S.R. Ranganathan recommended the use of appropriate business methods to improve library management. He observed that centralizing the library collection in one location provided distinct advantages. He also noted that excellent staff would not only include those who possess strong reference skills, but also strong technical skills in cataloging, cross-referencing, ordering, accessioning, and the circulation of materials. Open Access - In a closed access of books time is wasted unnecessarily. In open access, the time of the readers is saved. If open access is not there then the reader has to make the choice of the books through the searching of the library catalog. Then the reader requests the library staff the book which he has searched in the catalog. The staff searches the required book and if the staff is not able to trace the book, then the reader again needs to search the catalog. These problems can be avoided if open access is provided where the readers can themselves go to the shelves to search their book. Location - The location of the library is of great importance. It must be centrally located so that it is conveniently accessible to the community served. For an institutional library, it should be in the center of the institution, for a public library it should be in the center of the city. Centrally located library saves the times of the users in visiting it. Shelf Arrangement, Classification, and Cataloging - Proper classification schemes should be used in the library. Books should be arranged on shelves according to the classification number. Regular shelf rectification is also essential. In order to save the time of the readers, the library catalog should aim to provide different approaches to the users. It should include analytical entries for composite books. Stack-Room Guides - To save the time of the reader, the library should provide an efficient system of stack room guides. It may be quite useful to keep it at the entrance of the stack room, the whole plan of the room indicating the position of the book racks and classes of books in them. Issue and Return - Most readers want to read the book at home. For this, the library has to issue the books to the readers. Time-saving techniques for circulation to books should be used so that the user has not to spend more time in getting the book issued (or returned). Reference Service - The reference staff establishes a contact between the book and the reader by providing Reference Service and Long Range Reference Services, thereby saving the time of the reader. Documentation Service - A substantial time of readers is wasted in the literature search. The library should, therefore, undertake comprehensive or selective, as needed be, documentation services including SDI service to save the time of the reader. Library Staff - Library staff should be cooperative. They should help the readers to find their document keeping in mind the message of the Fourth Law, i.e., to Save the Time of the Reader. The Fifth Law is "The Library is a Growing Organism." A library is a social institution and it will keep growing like an organism. A library will grow in terms of documents, readers, and staff. The nature of organic growth can be either growth as a body of a child or growth as of the body of an adult. The growth of a new library will correspond to that of a child growing in all aspects. In case of a service library, once its growth has reached the adult stage, the growth would be in terms of replacing old books by new books and new users will continuously replace old users. This law focused more on the need for internal change than on changes in the environment itself. Dr. Ranganathan argued that library organizations must accommodate growth in staff, the physical collection, and patron use. This involved allowing for growth in the physical building, reading areas, shelving, and in space for the catalog. The fifth law of library science "the library is a growing organism" means that a library should be a continually changing institution, never static in its outlook. Books, methods, and the physical library should be updated over time. Balanced Growth - The collection should grow in all the areas of subjects keeping in view the needs and requirements of all the readers, as far as possible. Casting Off the Old (Obsolete) and Preserving Valuable Books - Weed out old, obsolete, and unused books in order to provide space for new additions. However, librarians should take necessary steps to preserve valuable materials. Choice of a Classification Scheme - We should use a scheme of classification, which is able to meet the onslaught of knowledge reasonably well. Choice of a Catalog Code - We should use a catalog code which is able to provide treatment to all kinds of library materials yet acquired as well as new materials likely to be acquired in future. Modernization - Libraries may have to think of computerization of the various housekeeping jobs like the acquisition, circulation, cataloging, etc. Staff - When a library grows, the sanctioned staff at some stage become inadequate. So at that time an increase of staff should be considered. Any standard for staffing should be accepted by the libraries, then the library would be able to get the requisite staff. Library Building -- Provision for Future - While planning and designing a library building, there should be a provision for the expansion of the building, both horizontally as well as vertically. The library should provide adequate space for the present as well as the future. Safeguards - As the number of readers increase, the problem of theft of books from the library becomes acute, especially in the open access system. So, it necessitates some safeguards, such as entrance and exit should be from one gate, windows should be grilled, and all readers should be checked before leaving. Librarian Michael Gorman (born 6 March 1941, Witney, Oxfordshire) a British-born librarian, library scholar and editor/writer past president of the American Library Association, 2005–2006, and editor of AACR2), and Walt Crawford recommended the following laws in addition to Ranganathan's five in Future Libraries: Dreams, Madness, and Realities [American Library Association, 1995], (p. 8) Gorman later repeated them in his small book, Our Singular Strengths [American Library Association, 1998]. Protect free access to knowledge. Honor the past and create the future. List of articles and news on Five Laws of Library Science from Library and Information Science Articles and News. An OCLC Research Report by Lynn Silipigni Connaway, Ph.D., and Ixchel Faniel, Ph.D. The objective of this publication is to provide a timely and relevant context for Ranganathan’s laws that today’s librarians, library researchers, and information scientists can refer to as they think about making changes in practice and developing agendas for future research. List of infographics on Five Laws of Library Science from Library and Information Science Infographics. If you are seeing this on a mobile device and if the infographics are not visible then switch to web version. Please note that this infographic, created by the University of Southern California, has a minor typo--the Second Law is given as Third Law and Third Law is wrongly given as Second Law. List of videos on Five Laws of Library Science from Library and Information Science Videos. Ranganathan, S. R. (Shiyali Ramamrita), 1892-1972. The Five Laws of Library Science; Edward Goldston, Ltd.: London, 1931. Rubin, Richard E. Foundations of Library and Information Science. 2nd ed. ; Neal-Schuman Publishers: New York, 2004. Connaway, Lynn Silipigni, and Ixchel M. Faniel. 2014. Reordering Ranganathan: Shifting User Behaviors, Shifting Priorities. Dublin, OH: OCLC Research.http://www.oclc.org/content/dam/research/publications/library/2014/oclcresearch-reordering-ranganathan-2014.pdf. This multimedia article Five Laws of Library Science is widely discussed, appreciated, cited, referred, and hyperlinked. Some places where it is discussed and referred are given below. Adriano Silva, Senior Librarian and Information Professional, Biblioteca Pública Municipal do Porto / Oporto Public Library, Portugal -- Great! I love it! Specially the part of "publicity"
Jennifer Closson, Library Technician at City of San Diego Literacy Tutoring READ program, United States -- Do unmanned libraries have the same five laws? Salman Haider -- Yes of course. These these Five Laws are the fundamental guiding principles of librarianship which are still relevant in modern unmanned libraries as well as with digital resources. 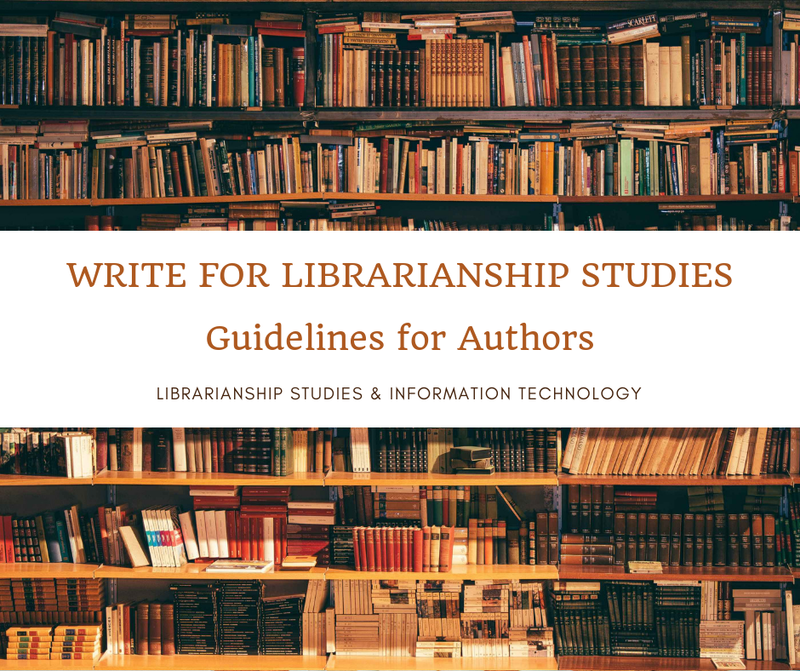 For unmanned libraries the variant of five laws given my Michael Gorman is more relevant which is also described in the Librarianship Studies blog article. Victoria Frâncu, Librarian at Central University Library of Bucharest, Bucharest, Romania -- Ranganathan's laws are still valid and they will always be. I remember a lady from Finland, presenting a paper on this, in an international conference, twenty years ago. It is significant that we are discussing now about the five rules, don't you think? Duraisamy Gnanasekaran, Librarian at Anand Institute of Higher Technology -- Whatever the format of the contents/services provided in the libraries, it is not a matter whether the library is manned or unmanned, the SRR's five laws are applicable forever since the Five Laws are the fundamental guiding principles of librarianship as rightly pointed out by Salman Haider. Chitra Karunanayake, Manager, Library Services, Concord Repatriation General Hospital, Library, Monash University Sydney, Australia -- I have read Ranganathan's Five laws before I started Library studies and that inspired me to start my career in librarianship. I think these laws are still valid and applicable to any library. Olugbenga Charles OKE, Certified Library, Archival & Information Professional, The Nigerian Stock Exchange (NSE), Nigeria -- I would rather refer to these laws as principles they are the basis for the services provided by Librarians and Information Scientists. These principles are very valuable even in this century. Trevor Sikhosana, Senior Librarian at City of Cape Town, Scottsdene Library University of KwaZulu-Natal, Cape Town Area, South Africa -- Ten years after having read about them in college, I still refer to them as the foundation of how we provide the service, especially in times when I feel derailed. Ratemo Moses, Librarian at Kisii University, Kenya -- I like the laws, they inspired me to join the career that I am in. Thanks to Ranganathan. Uma Mageswary Krishnan, Library Manager Universiti Malaya, Kuala Lumpur, Malaysia -- Very valuable information. Marie Tomlin, LSC and E-resources Manager at Northumberland, Northumbria University, North Seaton, Northumberland, United Kingdom -- This is extremely interesting. I'm busy studying MSc information science. I'll be looking further into these laws. Toboulayefa Ariaye, Librarian, Information Access International Limited Delta State University (NG), Nigeria -- The five laws of Library Science, is the bedrock on which all activities of a Librarian/ Information Scientist revolves. Wellington Soko, Librarian at Domasi College of Education, Malawi -- Indeed Cornerstone for the library. Donna Kellion, Digital Literacy Librarian at Mackay Regional Council Libraries, Charles Sturt University, Mackay, Australia -- Other than the term 'books', I don't believe the laws require a review. Regardless of whether the resources we direct our users to are in print, open online or hidden within the depths of a database, we should still be directing them towards their 'book'.